Our Coast Dental Jacksonville dentist offers affordable, comprehensive family dental services in the Julington Square Shopping Center, next to the Walmart Neighborhood Center in Fruit Cove/St. Johns. Nothing gives me more pride and satisfaction than having a patient leave my office with a more healthy and beautiful smile. Coast Dental is making it easier than ever for Jacksonville families to receive the dental care they need with the grand opening of its fourth location. Coast Dental Jacksonville opened in August at 445 State Road 13, Suite 22, right next to the Walmart Neighborhood Market in the Julington Square Shopping Center in Fruit Cove/St. Johns. Jacksonville dentist Dr. Mani Mirpourian will provide family dental services to adults and children starting at age 6. The practice accepts more than 200 dental insurance plans, plus can typically accommodate same-day dental emergency appointments. For an appointment, please call (904) 209-6590. 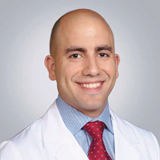 Dr. Mirpourian received his Doctorate of Dental Surgery degree from New York University College of Dentistry. He and his friendly team provide comprehensive dental services including exams and cleanings, fillings, crowns, bridges, dentures, partials, dental implant restorations, root canals, and extractions. Dr. Mirpourian also provides oral cancer screenings, veneers, mouthguards, and cosmetic services like crown lengthening and teeth whitening. “To me, dentistry is not only a major part of health care, but it is also an art form. Personally, I take pride in providing comfortable and caring treatment. Nothing gives me more pride and satisfaction than having a patient leave my office with a more healthy and beautiful smile," Dr. Mirpourian said. Dr. Mirpourian is a member of the American Academy of Cosmetic Dentistry, the American Dental Association, and the Academy of General Dentistry. He is also a certified provider of Invisalign®, an alternative to braces that many patients prefer because it uses a series of clear, removable aligners to gently straighten teeth. Coast Dental Jacksonville has a number of grand opening special offers available. The first 100 patients who complete treatment valued at $100 will receive a free InteliSonic power toothbrush with built-in UV sanitizer. Patients without dental insurance can receive a free new patient exam or emergency exam. Coast Dental also offers SmilePlus®, which can save patients without insurance up to 70% on their dental costs. Additional offers and details are available at http://www.CoastDental.com. Patient financing and payment plans are available to qualified applicants. For more information, please call the office at (904) 209-6590. Coast Dental, P.A., with its professional associations, is one of the largest providers of general and specialty care in the United States with more than 180 affiliated practices operating as Coast Dental and SmileCare in Florida, Georgia, California, Nevada and Texas. Coast Dental Services, Inc. is a privately-held practice management company that provides comprehensive, non-clinical business and administrative services to its affiliated practices. The company is headquartered in Tampa, Florida.